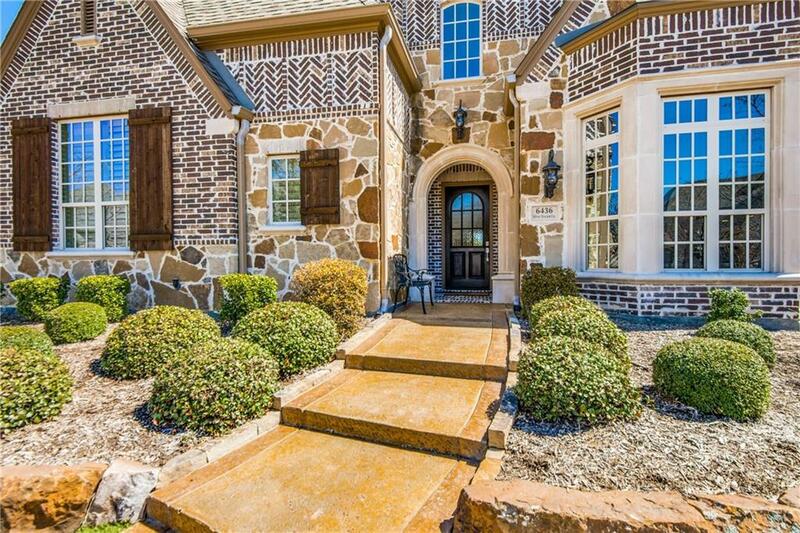 This gorgeous Huntington home located in Phillips Creek Ranch is perfect for any family! Built with entertaining in mind this home offers a hard to find downstairs media room, multiple wet bars, and built-in wine refrigerators. 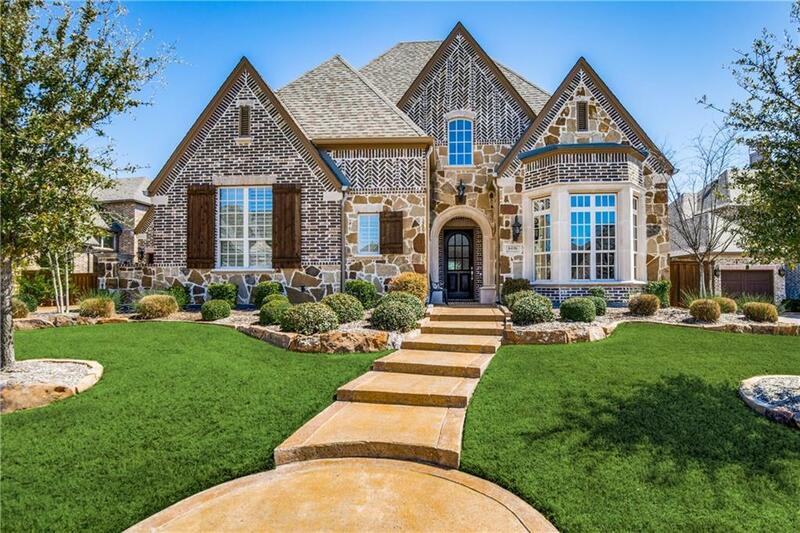 Executive study with built-ins, large family room with wood beamed ceilings, formal dining room with built-in bar, Master suite, and a second bedroom with en-suite bath.Gourmet kitchen with granite, double ovens, Wolf cooktop and SubZero. 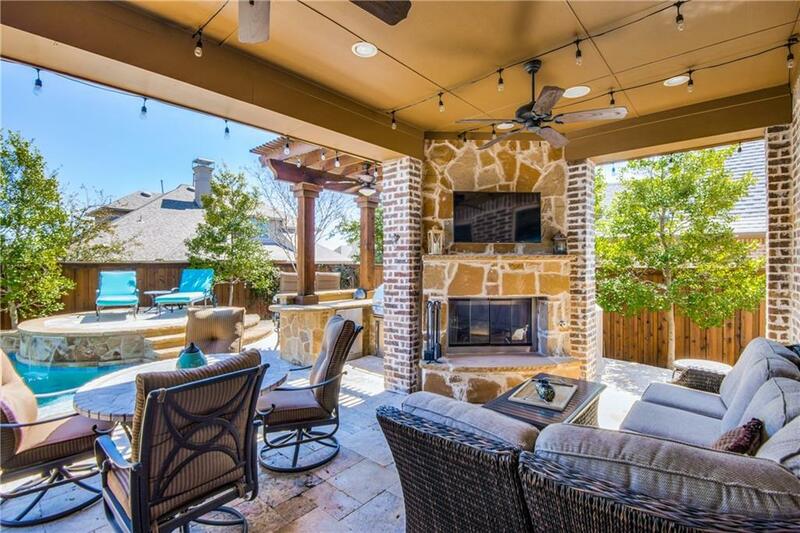 This exceptional floorplan continues upstairs to 3 add beds with en-suite baths, game room and card room.Private backyard oasis offers outdoor living w fireplace, built-in grill, pool and spa! 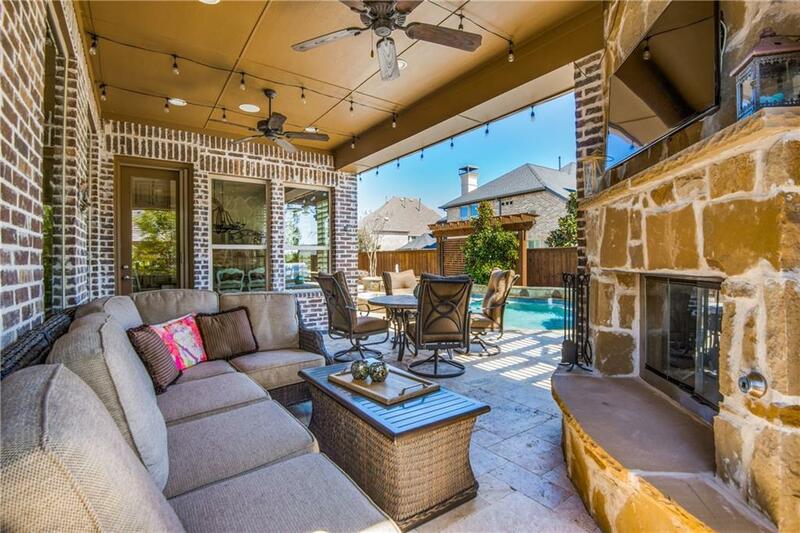 Offered by Paulette Greene of Ebby Halliday, Realtors-Frisco.